It has been a long time since Valve started making skins for CS:GO and still there are some not publicly known facts about skins. Not too many people know, that there is a way you can buy a good looking weapon skin a lot cheaper than you think, and that there are some fundamental things you have to know before you buy any weapon skin on the steam market. Ill start with the "Exterior quality", that is simply a level of wearing/abrasion of the skin. The exterior quality looks different on every skin. 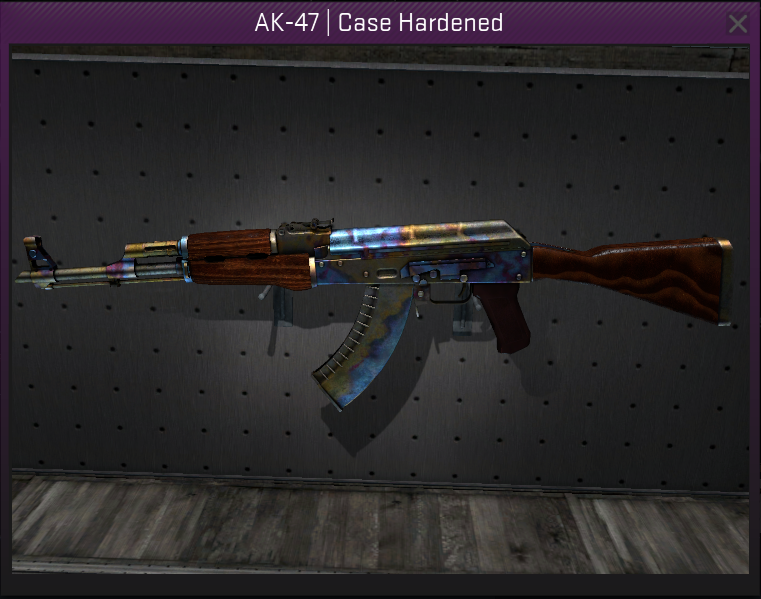 Sometimes there is are only small nuances even between BS and FN quality (AK-47 Case Hardened - see the pictures) and sometimes the FN quality is flawless and the BS quality almost doesn´t resemble the skin (M4A4 - Radiation Hazard - see the pictures). 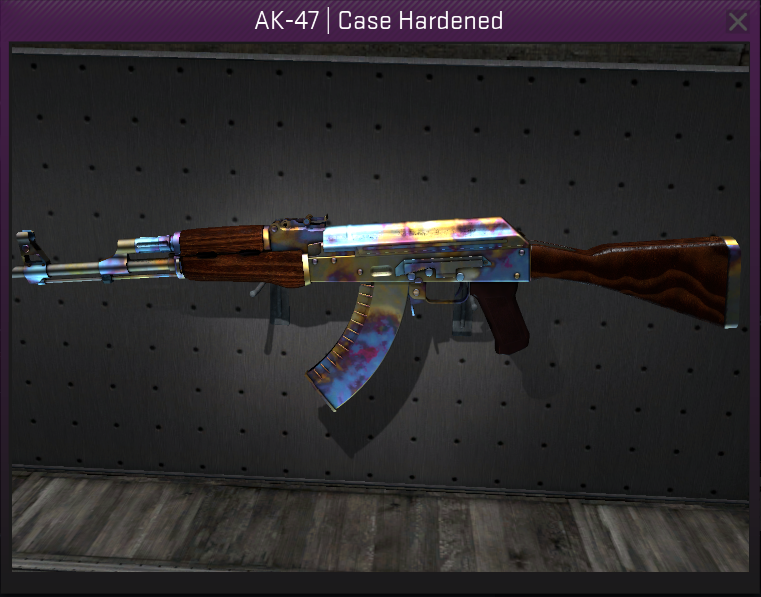 As you can see, there is only a darker tone on AK-47 skin, so if you don´t mind darker colors you can spare a lot of money by buying a "worse exterior". 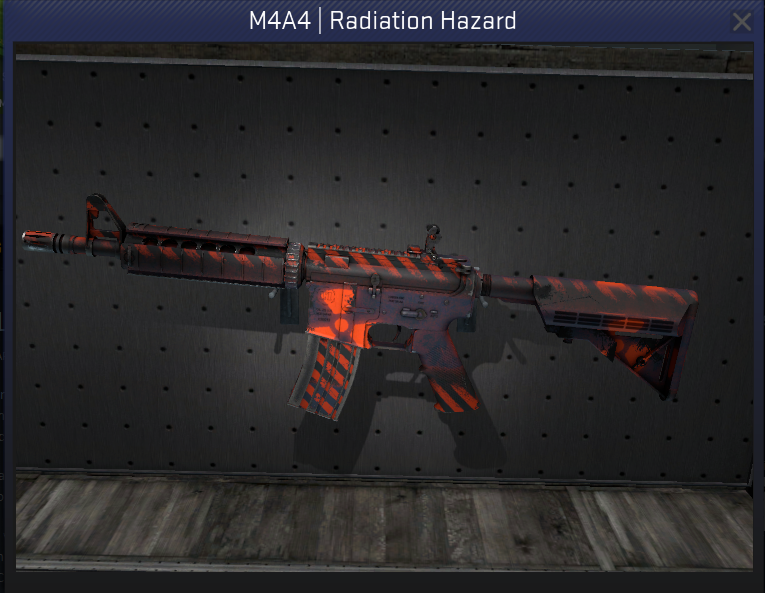 On the other hand, there´s no reason for buying the M4A4 Radiation Hazard BS skin at all, because it´s not much better than your default grey M4A4. There´s a little trick I use when I´m buiyng a weapon for me or for a giveaway on my streaming channel. If you inspect your weapon in game before buiyng it, you can notice, that one skin exterior quality is not the same by each weapon. 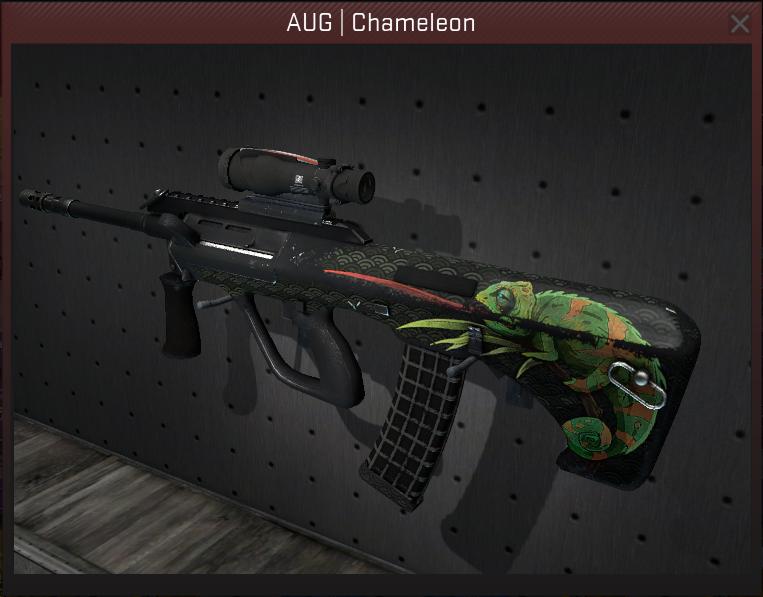 I´ve noticed it when I was purchasing my AUG Chameleon skin, just look at the pictures. Both weapons are Field Tested quality. 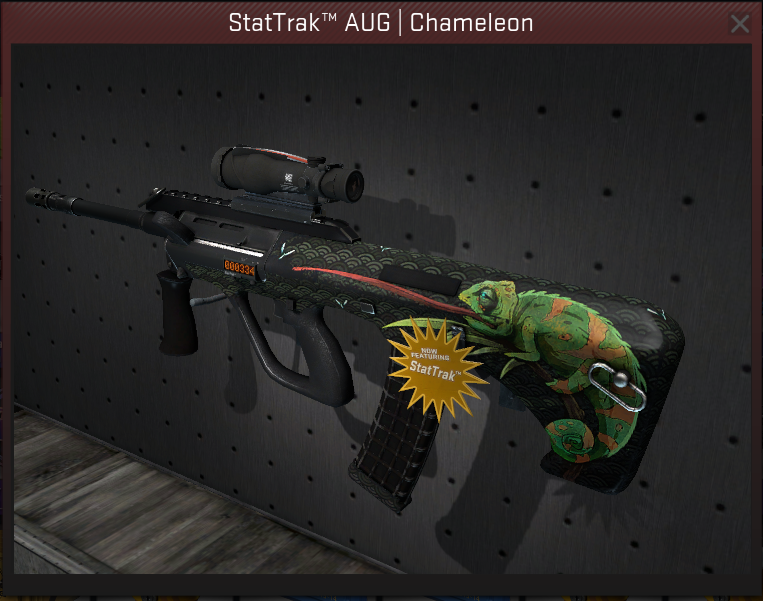 AUG Chameleon - Field Tested - the whole chameleon is scratched, you cannot see the fly on the top of his tongue. AUG Chameleon - Field Tested (my weapon skin) - There are no scratches on him at all, the only thing missing are some parts of his tongue. I love the sticker "Work for ammo" with this cute sad looking hippo and I know I would like to place it on my gun in future. So I can include this fact in my searching and by hovering my cursor on the picture of the gun in market, i can see, if there are any stickers placed on that gun. Be careful, the exact placement can you see only by inspecting the gun in game. I know this sticker costs about one euro, so i can buy a slightly more expensive gun with that sticker already placed on it. Keep in mind, that buying a weapon with sticker is always a good choice. The gun is worth more and you can sell it for more money later and if you dislike the sticker, you can scratch it off at any time. Sometimes you can anticipate the price deveolpment just by looking at the graph. Some hours of the day are better for buying weapons and some are better for selling weapons. What is really important is the price of the case, from which is the skin droping from. 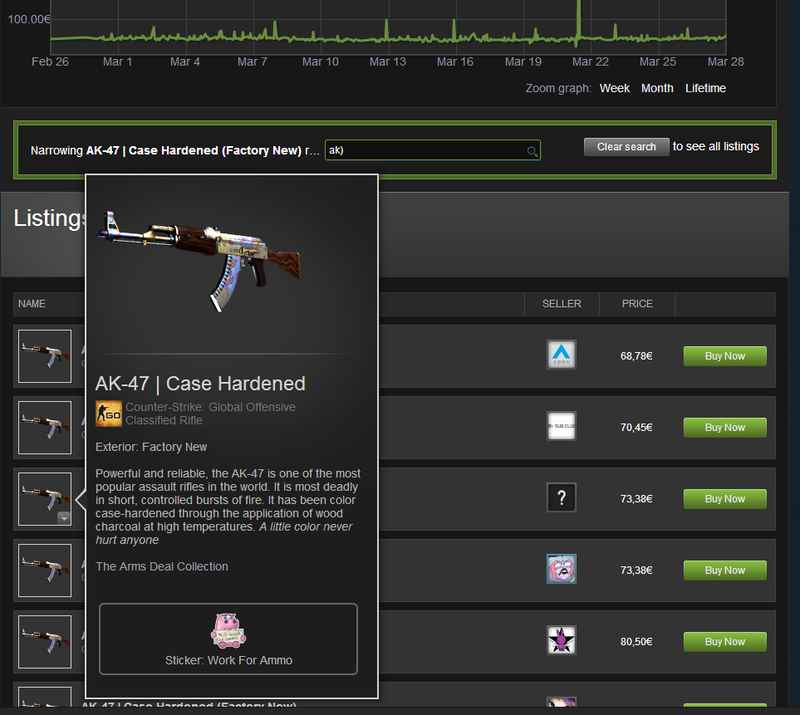 When the case is new, the price is very high and all the skins from that case are overpriced. 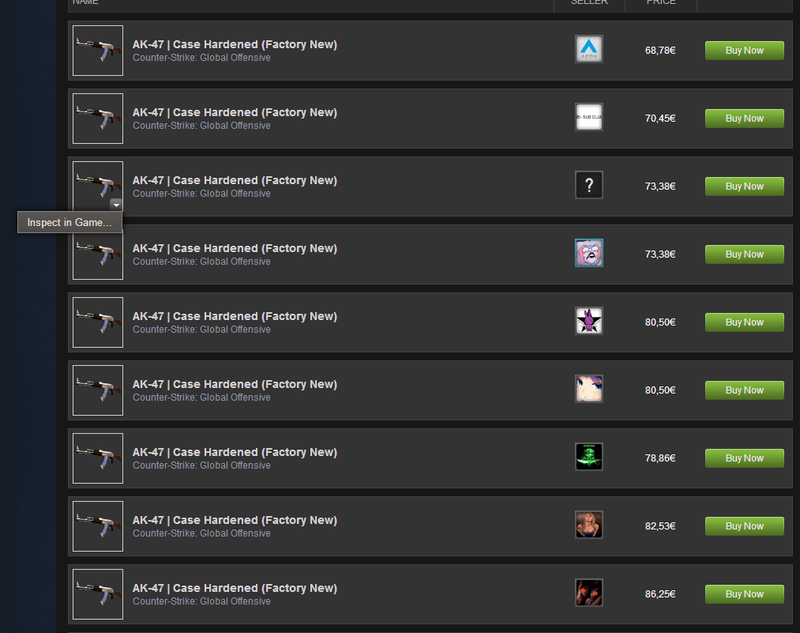 If you wait some time for the case price to drop, then the prices of all skins from that case drop with it. If the case is very old and you cannot get it from the game anymore, all the prices rise proportionately. The mechanism of the market is clear and legible. Thanks regret is grateful for the gift of life; thank regret, the road ahead will go more solid; thanks sorry, the future will not have too many regrets. Cheap CSGO Skinscan give you hope. Beautiful video. I learn a lot of things from you. Thanks. You can find there lot's of free stuff like free pubg skins & many more! All the best to your site. 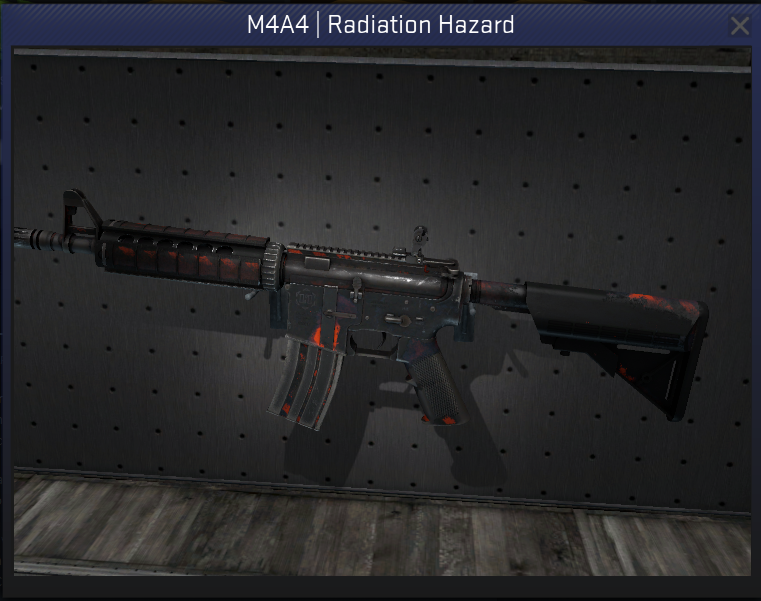 You can find there lot's of free stuff like free csgo skins & many more cool stuff. Exxelent blog about CSGO skins. I love Counter-Strike: Global Offensive for many good reasons. To get Free CSGO skins, GamersNab can be your trusted place. Cheers..